In cooperation with our partner Aircraft Electronic Engineering GmbH a certifiable avionics platform for flight control purpose was developed. This platform allows us to demonstrate algorithms in a close to product environment and to do research in the domain of avionics software. Beside several other applications, the platform is the essential part of the safety system and avionics system in the Flying Testbed for the Free State of Bavaria. Based on these objectives, a Data Concentrator Unit (DCU) and Flight Control Computer (FCC) is now available. A closed tool chain was set up to support all evidences required by a software and hardware qualification according to DO-178C / DO-331. Commercial off-the-shelf tools as well as self-made adaptions are used to support all steps from model and structural code coverage through deployment and debugging to traceability from object code to requirements. 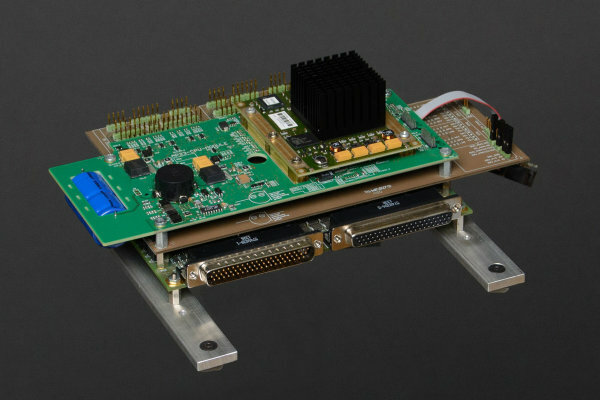 A bus interface and stand-alone module facilitating analog and discrete I/Os. A computer to execute complex algorithms, with a separate attached I/O module. So the I/Os are adaptable to specific environments. 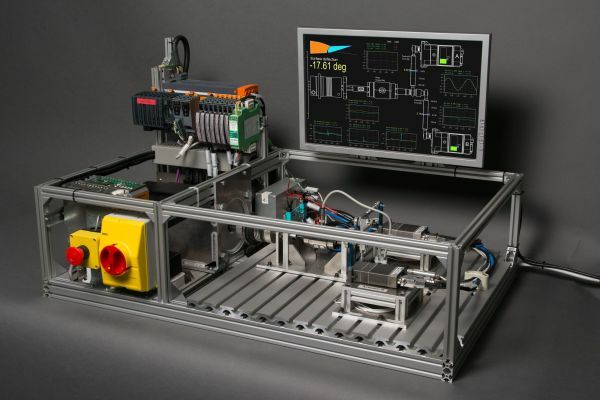 Hardware-in-the-Loop simulations are used to test and operate a unit-under-test (e.g. 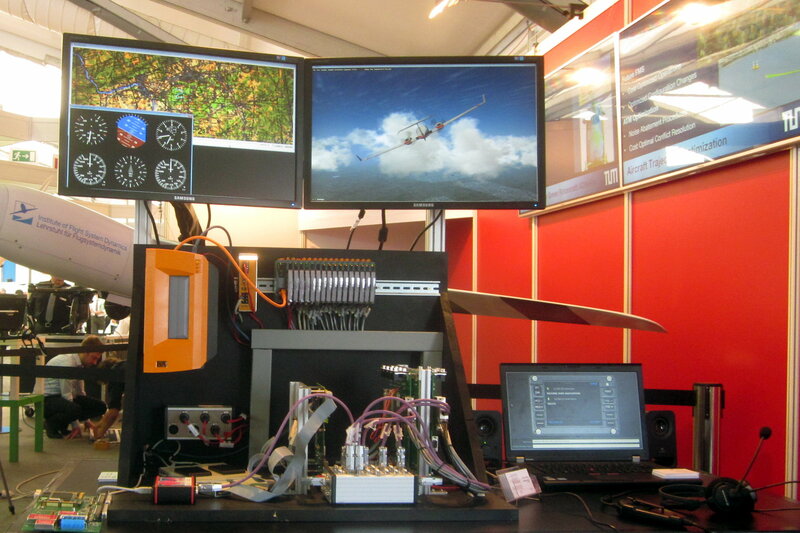 a flight control computer, sensors, actuators) under realistic in-flight conditions. Therefore, the Flight Dynamics Model of the aircraft (computing the equations of motion, aerodynamics, environment etc.) is simulated on a realtime platform. The resulting states of flight are then used to simulate sensors for guidance, navigation and control or to embed real sensor-devices and to stimulate them. Based on the sensor measurements, the Flight Control Computer and the control algorithms can now be tested in the same way as if they would be installed within the aircraft. The loop is closed by the control surface actuation commanded by the Flight Control Computer. 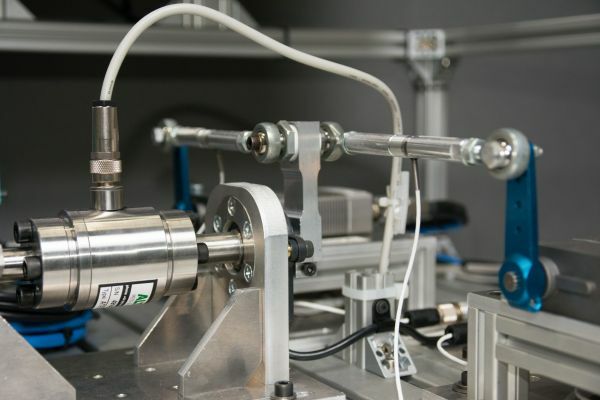 While the institutes’ actuator test benches can be used to include real control surface actuation mockups in the loop, other drivetrains can be simulated with also considering nonlinear effects. The Hardware-in-the-Loop simulations at FSD are all custom built for versatile requirements. 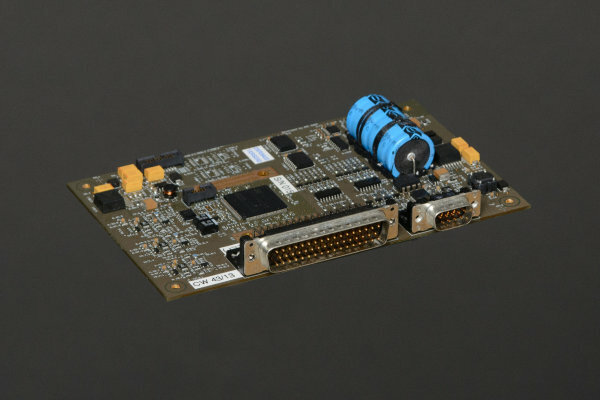 Base components are industrial automation computers and programmable logic controllers by the company B&R Automation. The modularity and scalability of those systems allows us to operate and simulate a multitude of devices under real-world conditions and with consideration of individual latencies, jitter and data transmission behavior. Currently, the Hardware-in-the-Loop simulation allows us to use a freely scalable amount of digital and analog in- and outputs, serial interfaces (such as RS485, RS422, RS232), CAN ARINC825 interfaces as well as ARINC429 interfaces. A seamless integration of MATLAB/Simulink allows for fast testing of model-based developed algorithms in the field. The Institute of Flight System Dynamics operates two actuator test benches for Hardware-in-the-Loop simulation of Electro-Mechanical Actuators (EMAs). 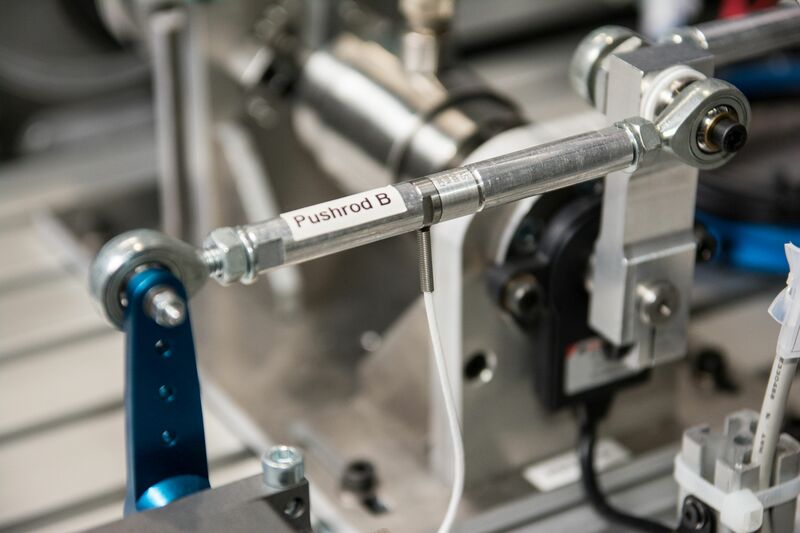 Being coupled to the aircraft’s Flight Dynamics Model, a torque machine acts on the actuators to simulate realistic loads. Failure simulation, testing of safety clutches and the verification of control algorithms are only some of the applications. 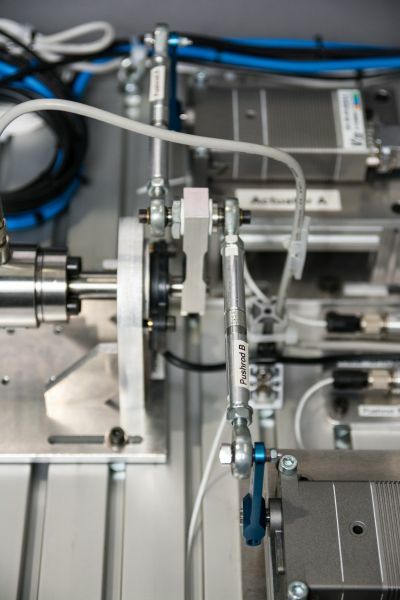 Instrumentation such as torque and force sensors as well as several angular position pickups enables the analysis of Force-Fighting between coupled actuators and the development of new redundancy concepts.